Need to know the value of your home before putting it on the market or buying cash? Feel comfortable with our Expert FSBO appraisals. FSBO Appraisals. Today’s market can be challenging for any individual selling their home looking to establish a fair list price. It is often tough to dig through all the market data to ascertain a true value for your home and that is where a FSBO appraisal will help. So it’s common for homeowners to depend on appraisers for assistance when creating an accurate list price before putting their home on the market. This is where a FSBO Appraisal will come in to assist the homeowner with acquiring an accurate value for the property. Bostedo Appraisal Services have been working with homeowners from the Greater Pittsburgh and surrounding areas for decades helping to sell their homes with FSBO appraisals. In today’s marketplace, there are ever changing lender requirements; appraisers are sensitive to any underwriting changes banks will make. These changes deal directly with new appraisal changes or requirements that are continuously being added when appraising properties for mortgage purposes. Several of these changes very well may modify the final value of an appraised value. Regardless, the appraiser will know about these requirements and when the FSBO appraisal is prepared under ‘Bank Requirements’, the homeowner will know where they stand right from the start. At Bostedo Appraisal Services we can provide you with a professional 3rd party appraisal which is far more accurate than a realtor based Comparative Market Analysis (CMA). A FSBO appraisal ensures that you will have an accurate description of your property’s features and a detailed analysis of the latest and comparable sales. Remember that overpriced homes attract far fewer buyers and this means fewer and perchance no offers. Also coming into play is that it will waste valuable time, money, and efforts, while an underpriced home may lead to a lower selling price and also you leaving possibly a substantial amount of money on the table. Acquiring a FSBO appraisal will assist you to determine an accurate price on your property in addition to maximizing the chances of you selling quickly to get the best return on your home. In addition, we will help you figure out what improvements could be the most cost effective in adding additional value to your property. 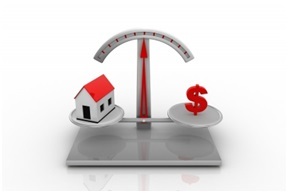 A full appraisal may or may not be needed depending on the degree of reliability needed. Sometimes a much more limited valuation or market analysis report is entirely appropriate, whereas other times an entire exterior and interior valuation might be necessary.